Use of digital strategies and data, as well as creative partnering with public and private partners seen as vital to helping police tackle borderless criminal activity. New models for policing harnessing data, digitisation, public and private sector organisations, and more diverse skills, offer law enforcement opportunities to improve how they tackle unprecedented emerging challenges from global criminal activity. In a study by PwC - Policing in a Networked World - twenty-five senior policing leaders from Australia, Canada, the Netherlands, Norway, Sweden, and the UK, were interviewed on their police organisations’ experiences tackling crime in a disruptive era of rapid technological and societal change. Domestic violence, child and elder abuse and sexual servitude are taking place behind closed doors while digitisation – and the cybercrime that it has enabled – has brought with it a type of criminal activity that is hidden and borderless. In analysis for the study of the latest aggregated, publicly-available data (see note 3 below), incidences of so-called complex crime rose by over 25% on average across Australia, England and Wales, the Netherlands and Sweden in the period 2010-15. This included crimes such as sexual offences, fraud and drug offences (both trafficking and possession). At the same time traditional crime - including theft, motor theft, burglary, robbery and serious assault - have fallen over the same period by an average across all six countries of almost 10%. Demographic changes, urbanisation and immigration are also shaping communities with evolving expectations and experiences of policing, while criminals have access to new markets and alternative supply chains. The study finds that these developments threaten to undermine both the capability of police organisations to stay ahead of crime - and, crucially, the public perception that they are doing so. Many police leaders indicated that the police are “at a tipping point”. But they were also unanimous in saying that the most effective solutions were showing significant promise as new ways of meeting those challenges. The police leaders highlighted huge potential for data analytics and big data to drive new approaches, including identifying areas and individuals most at risk from criminality and harm, allowing police resources to be targeted more efficiently to meet demand. Police leaders also said there is increasing recognition that the police work in a broader ecosystem that includes other authorities, such as border control and counter-terrorism. In Canada, police in Vancouver are combining civilian expertise at higher education institutions with computer algorithms to come up with “predictive policing” models that anticipate where certain crimes are likely to take place, post code-by-post code. In Norway, the police have made strides in using digitisation by having all the various elements of the police – officers on the ground, technicians and others – working in parallel on a case rather than sequentially. Where a crime has been committed, police will make audio recordings on site and upload these directly into police systems so that experts can conduct any analysis that’s needed in real time, even as the frontline officers continue their work. In the United Kingdom police have implemented an innovative recruitment scheme, known as Police Now, in an effort to give university graduates with leadership potential a route to becoming police officers. Its mission is to transform communities, reduce crime and increase the public’s confidence in policing by recruiting and developing an outstanding and diverse group of individuals to be leaders in society and on the policing front line. Policing in a Networked World analysed crime data from six countries – Australia, Canada, the Netherlands, Norway, Sweden, England and Wales – and interviewed 25 policing leaders, to identify the key challenges that police forces are facing and how forces are responding to those challenges. Policing in a Networked World has been produced by PwC’s Global Government Security Network (GGSN). The GGSN is active in more than 50 countries and brings together leading practitioners in public safety, justice and security. Data from Norway has been excluded because it is only available up to 2014, while Canada saw a fractional fall in complex crime in the period. 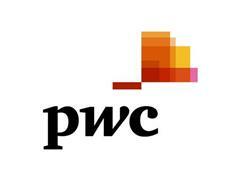 PwC study: Policing in a networked world.